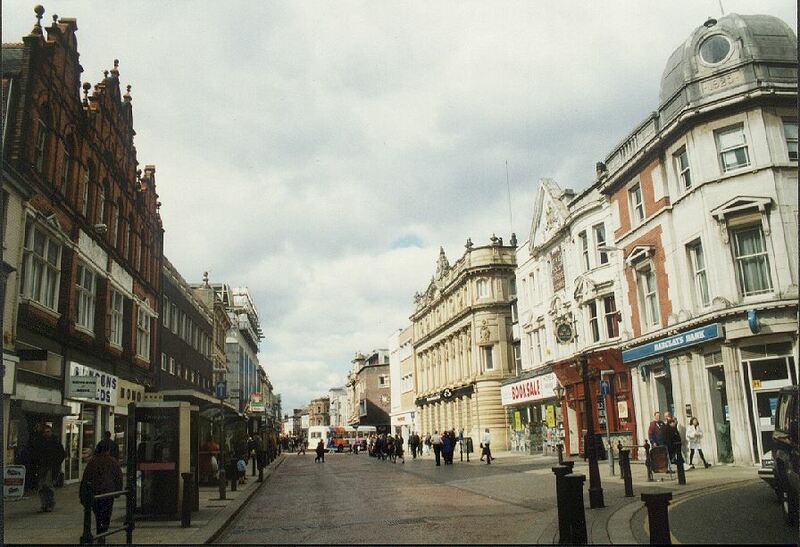 You can either go into Churchgate or along Bradshawgate. 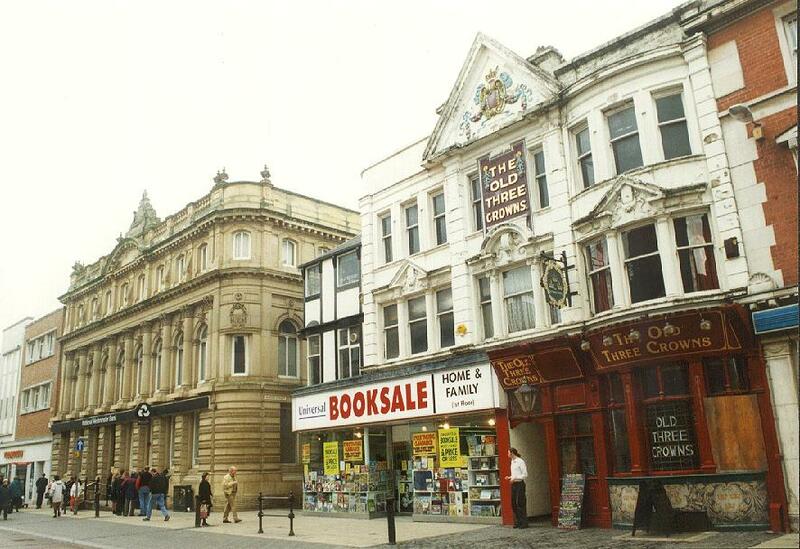 On the left of this picture is the Three Crowns, beyond that is Barclay's Bank, and the next building along is Whitehead's, an independent department store, finished in terracotta. At the end of this building you can see a tower with a golden timeball above it, this is a jeweller. 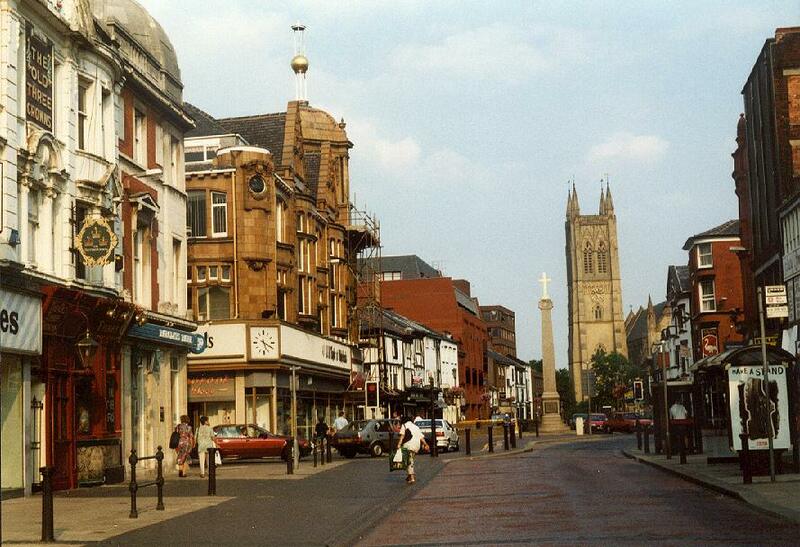 Right of centre is the Marketgate Cross, and the tower of St. Peter's the parish church. Where you may go into Mealhouse Lane, onto Bridge Street, or further down Deansgate. On the right is Barclay's Bank and the Three Crowns. This old pub serves meals during the lunchtime. 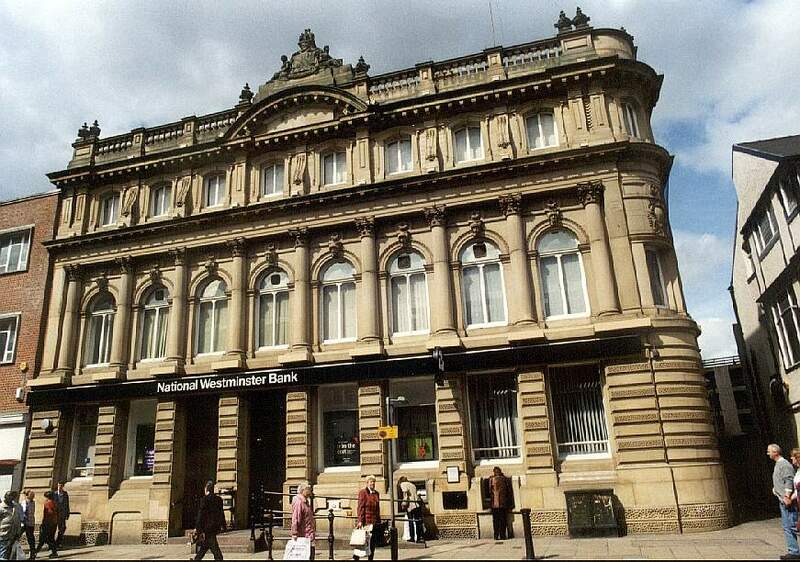 This used to be the Bank of Bolton, and there is an elephant at the top of the building.